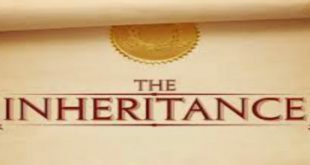 Home | Fatwa | Inheritance | Do stepchildren inherit? 2,392 people read this post. Important Notice: National Jumuah campaign across South Africa in all Masaajid this Jumuah 31 May 2013 on the importance of Correct Aqeedah – UUCSA (United Ulama Council of South Africa) (MJC, Jamiatul Ulama KZN, Jamiatul Ulama TVL, Sunni Jamiatul Ulama, Sunni Ulama Council, Eastern Cape Islamic Congress, Council of Ulama Eastern Cape). Brochures on Correct Aqeedah will be distributed at Masaajid. Q. I have recently remarried to a woman who was divorced. We both have children from our previous marriages. Will her children inherit from my estate when I pass away? A. Her children from her previous marriage will not inherit from your estate. Only your biological children will inherit from you in the event of your demise along with your other legitimate heirs (if any). Similarly, your children from your previous marriage will not inherit from her in the event of her death as they are not her biological children. A bequest upto one third of the estate may be made in favour of a stepchild.